Enjoy a weekend of shooting, fly fishing, fly tying and fine dining at Virginia’s Primland resort. Primland is a 12,000 acre resort located in the Blue Ridge Mountains of Virginia, approximately 30 minutes east of Interstate 77. Primland has been an Orvis endorsed wingshooting lodge since 1990. Here you can start your spring off with a bang and shoot your way along the famed Blue Ridge mountains on a world-renowned sporting clays course. Slow down with a class on fly tying that will teach you the skills to create your own custom fly. 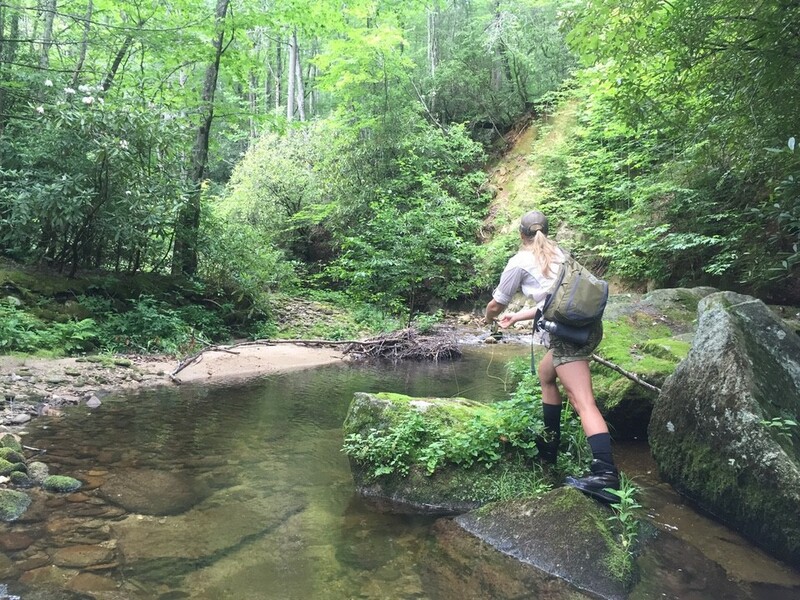 Then take these skills to the stream where you can cast your flies on the picturesque spring fed mountain streams of Primland filled with wild trout. After a long day in the field, coming back to meals prepared by trained chefs makes the closing of the day a treat in itself. Gathering around the fire, stargazing and walking the grounds are just some of the activities that can complete an evening filled with fun and exciting experiences. And the lodging will surely keep you well rested and recharged to take on the following day. With all this resort has instore, experiencing a day of shooting and fly fishing will cover some of the best opportunities Primland has to offer, and give you wide-ranging taste of the sporting south. Join Primland for this fantastic opportunity, and don’t miss out on a weekend spent with your fellow sportswomen, casting and shooting at one of the most premier outdoor destinations in the country. 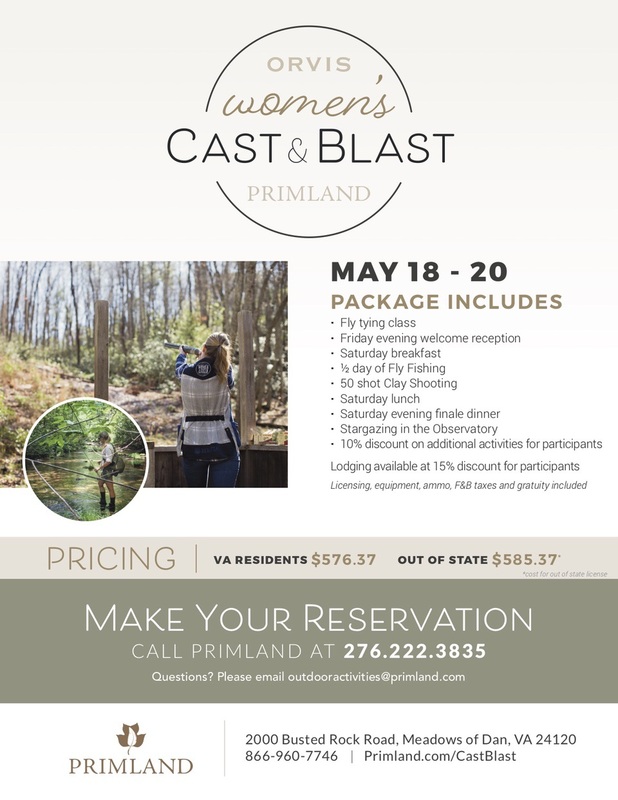 Find more information on the Women’s Cast & Blast with Orvis here.